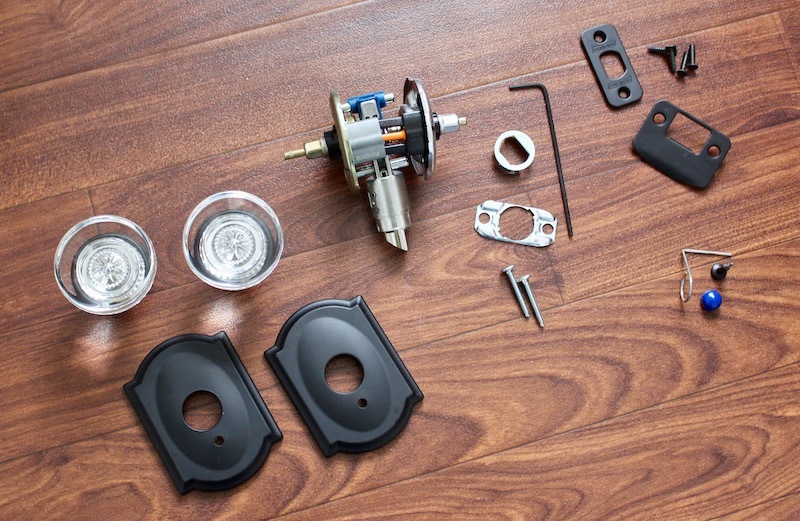 Disclaimer – This post and giveaway are sponsored by Schlage Canada. All thoughts and opinions are my own. 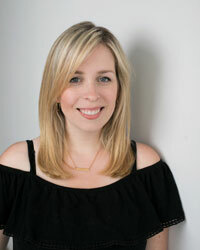 We love the quality and selection of their products and I’m excited to share them with you again. Owning a house that is 116 years old means that we often feel that it’s a stewardship. It’s our responsibly to take care of it and keep the century home character for others to enjoy long after we’re gone. It also means that we’ve inherited years of others adding their touch to the house and with that comes a mismatch of styles and trends. 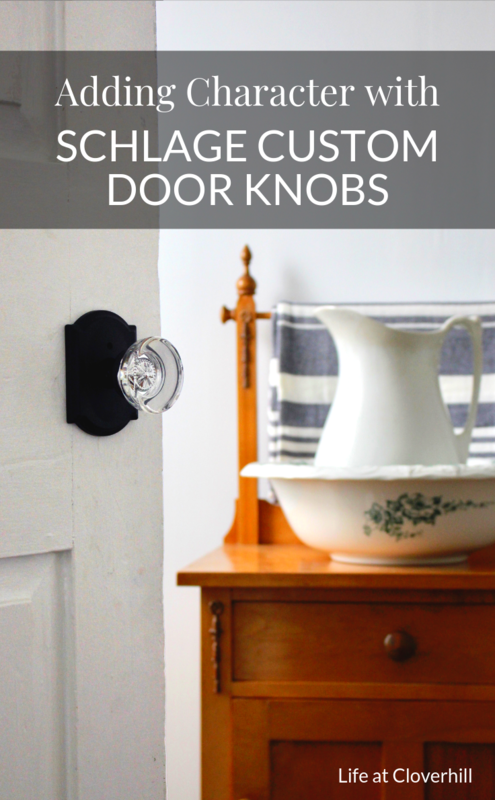 That’s why I was so excited to work with Schlage Canada again to use their new Schlage Custom Door Knobs to make our interior door hardware fit in more with the history of our home. Their new Schlage Custom line comes in six timeless finishes, a variety of trim styles and twelve knob and lever designs. Whether you’re going for classic or contemporary, they have the hardware to transform your home. 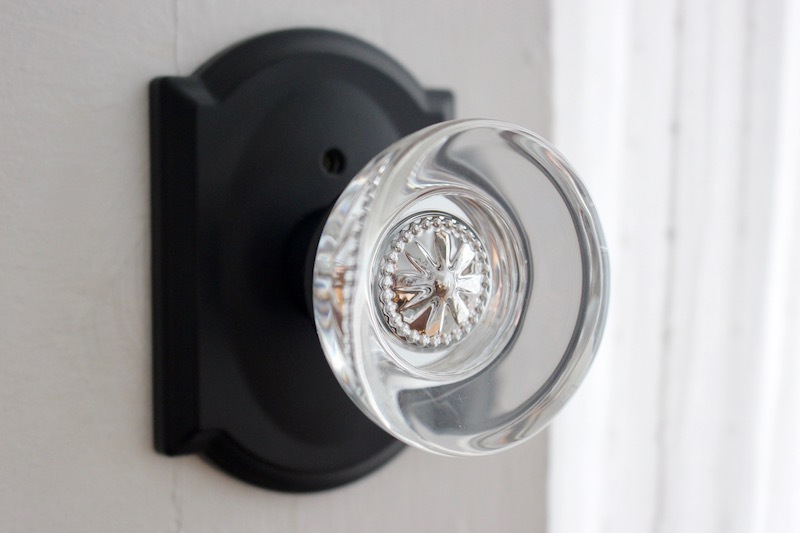 We chose the Hobson Glass Knob with Camelot Trim in Matte Black. 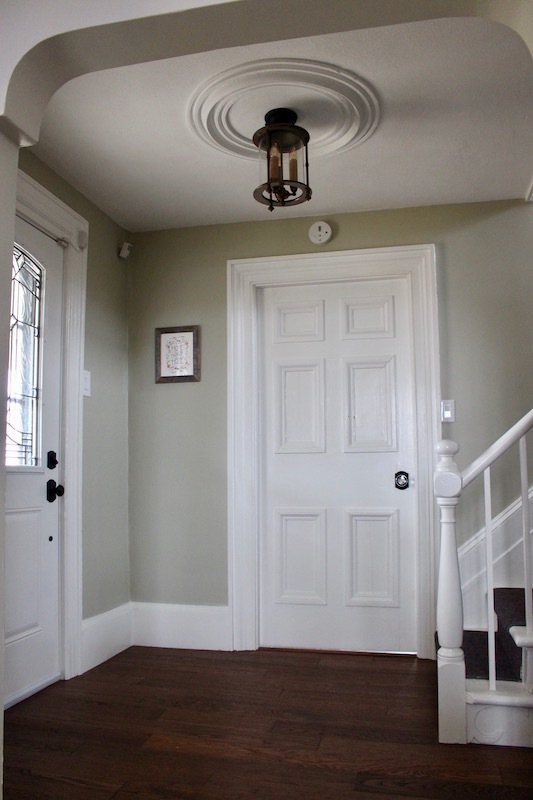 The classic glass knob with elegant trim looks great against the thick door casings of our century home. 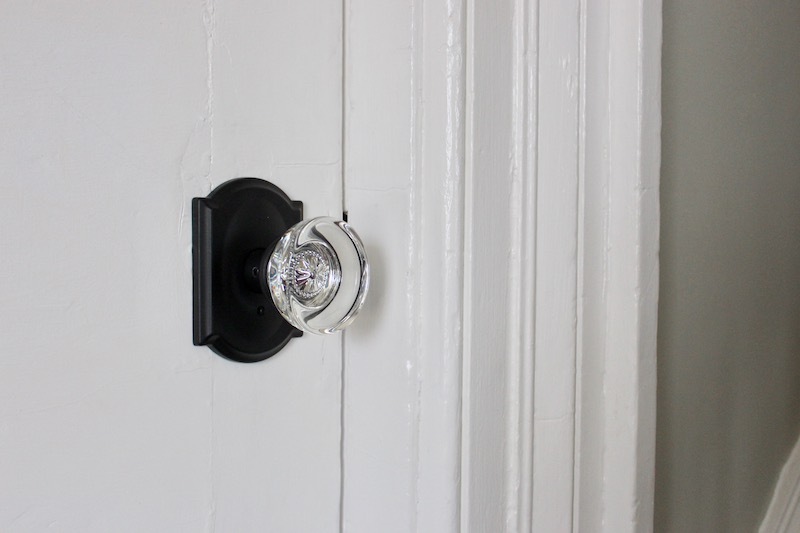 By changing all the door knobs in the house, we were able to create a cohesive look that carries throughout. After we finished installing them, I gathered all the old handles from around the house and found FIVE different styles. Not surprising considering that our house was built in 1903 and has had many owners over the years, but it also made me realize how much better it looks now that they’re all the same. The Camelot Trim is the same one that I used for our Exterior Door Hardware as well, helping to pull everything together. You can see the three different exterior door solutions that we installed in my previous post with Schlage Canada, including a video on just how easy it was to install everything. 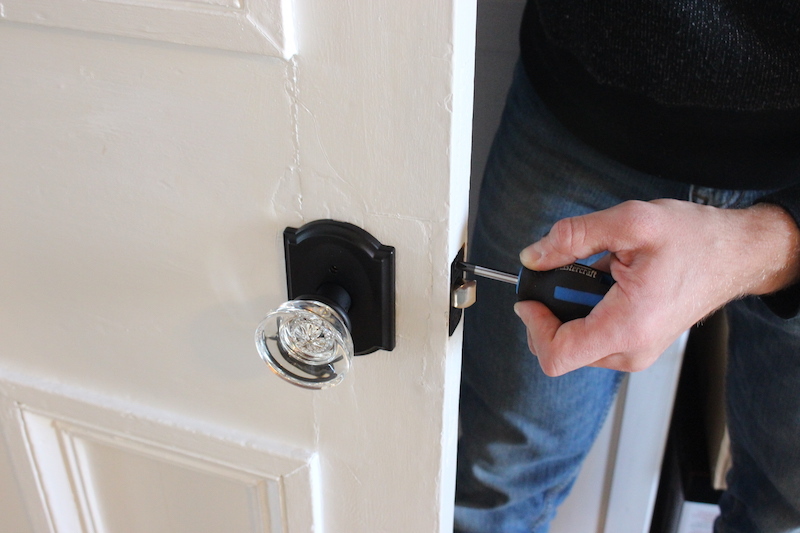 Door hardware shouldn’t be an after thought – it’s often the first thing a guest feels in your house and you can make a powerful statement with it. 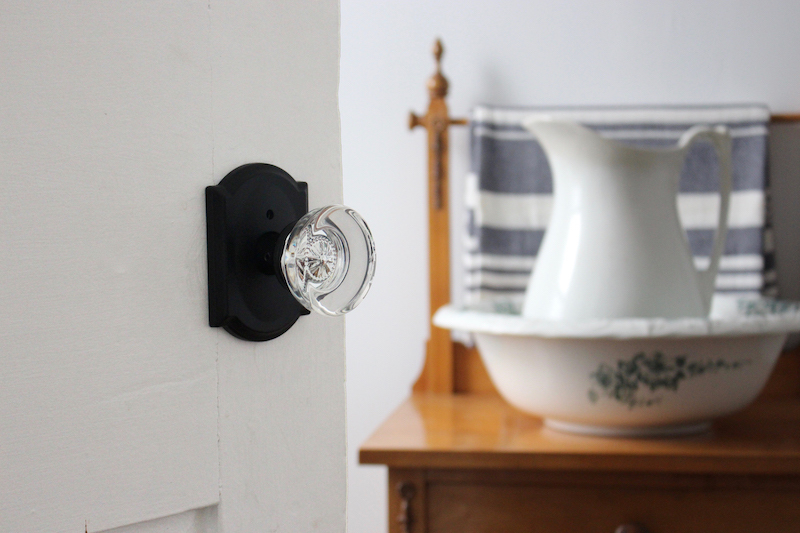 I love when people come to our farmhouse now and spot the glass knobs with a smile. Not only are these glass door knobs solid in your hands there is also some nostalgia for that old house charm. 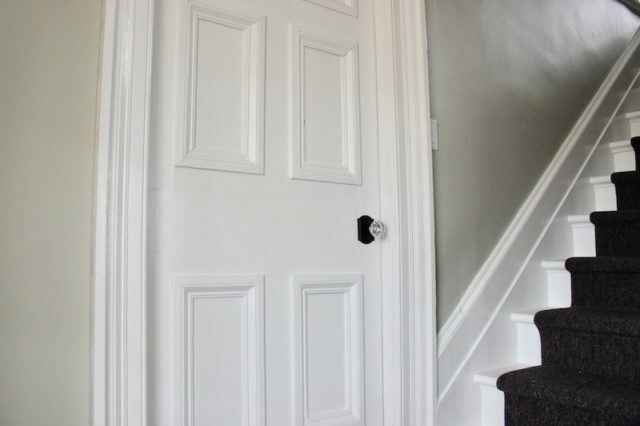 These door knobs were easy enough to install that we were able to do all eight of them in one afternoon. 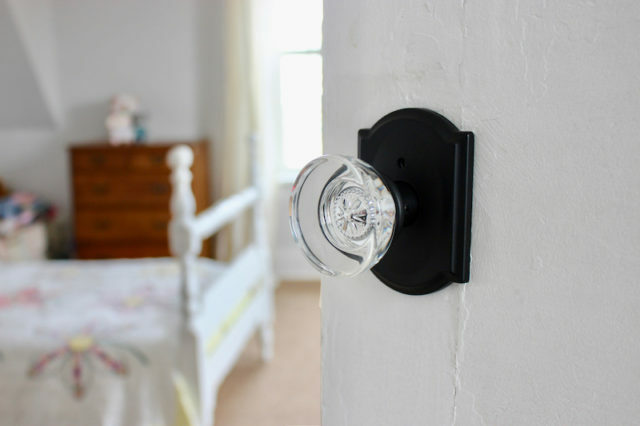 All the Schlage Custom Door Knobs are versatile and can work for hallways and closets, or can be made lockable for a bathroom or bedroom. We laid everything out of the box before we started each one. It’s helpful to have all the pieces at the ready. Most of our old knobs were in bad shape, and as I mentioned before we had five different styles throughout the house. These porcelain knobs were my favourite of the bunch but were prone to falling off the doors with no warning…and subsequently locking you inside, ha! I’d gotten used to having a screwdriver on hand. Thankfully that also meant they were extremely easy to remove and we just went around popping them all off to install the new ones. 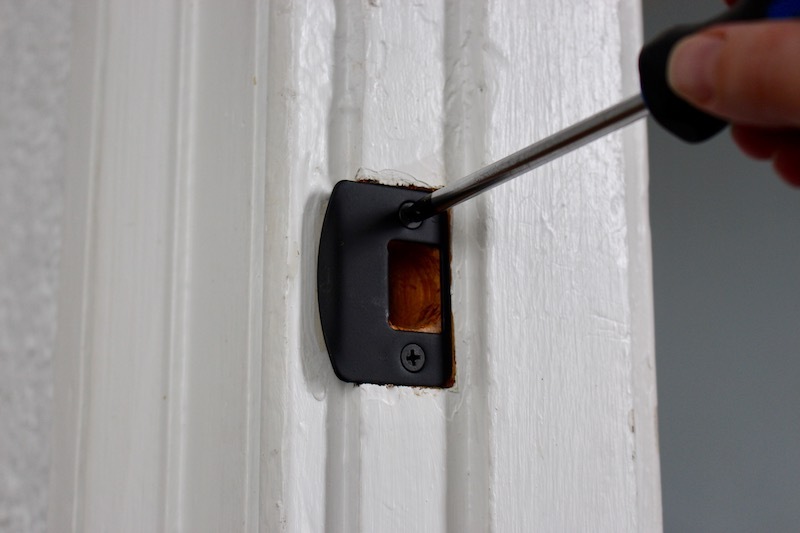 The old strike plates were painted over and it was a quick switch to add the new matte black strike plates that came with the Schlage Custom Door Knobs. They instantly made everything look cleaned up! They’ll also be easy to remove when we touch up the door trim paint someday. Always remove the door hardware when you’re painting, folks! It makes a huge difference in creating a polished finish look. 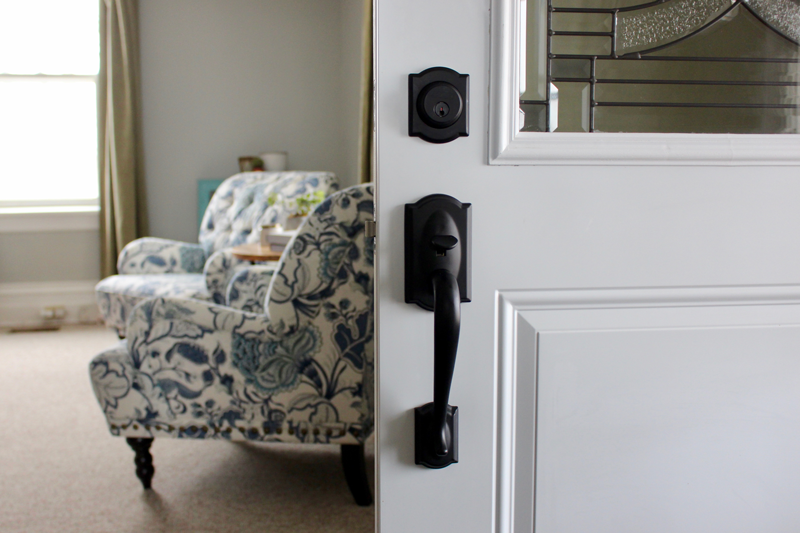 I was so glad to partner with Schlage Canada and bring this character back to our old farmhouse, while still updating to a newer technology – the best of both worlds! We’ve found all of Schlage’s products to be high quality and they have great designs. I definitely recommend them if you’re looking to make a quick yet dramatic change in your home. I remember glass door knobs on the family home my Grandfather built in Clarksburg over 100 years ago. How wonderful you found them! 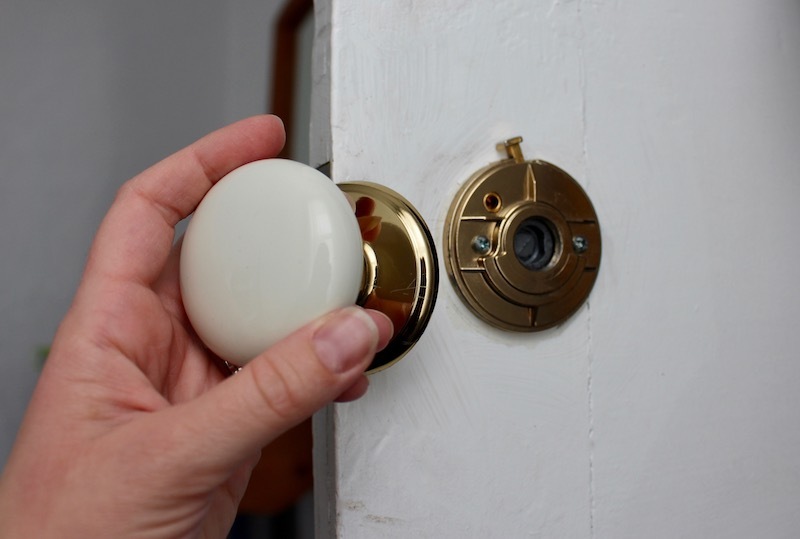 What amazing things will you do with your old porcelain door knobs? That’s such a great memory and one that I hope my own girls will have with this house someday.